You'll like the new v4 SiteLock Module! There is no other module that can boast of total automation! 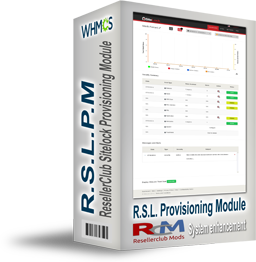 With our ResellerClub SiteLock Provisioning Module you will be ready to sell and manage within a few minutes! Fully packaged and automated with Auto Installation of the Module and the Products you would like to sell with ResellerClub and any other LogicBoxes Registrar. And if you have active Orders in your Reseller account, then you can them Import straight away in seconds! 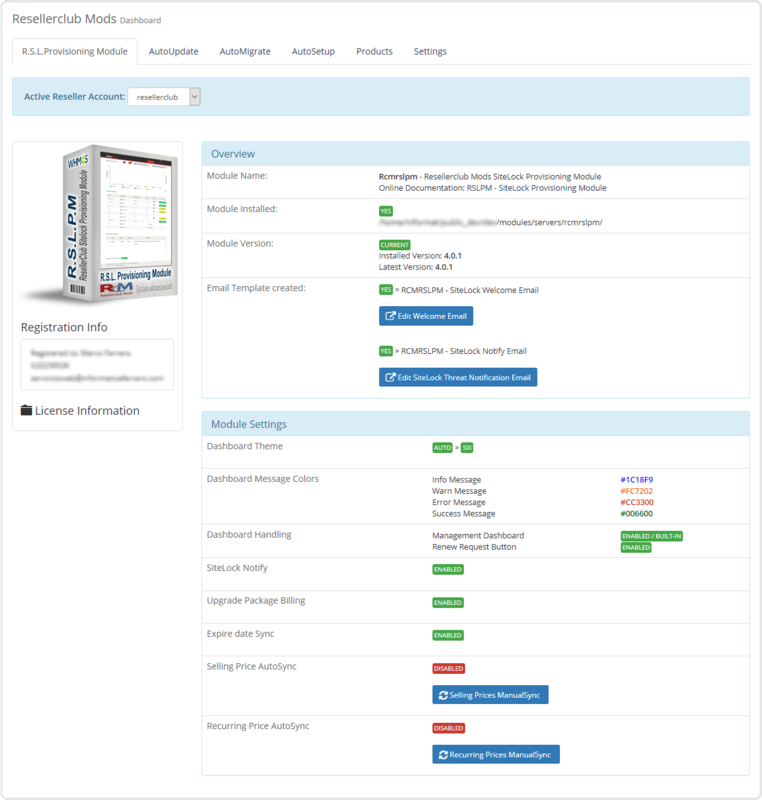 Without limitations, fully automated and fully compatible with all product/services and billing features from WHMCS including Order renew post provisioning as well as Upgrade/Downgrade to another SiteLock Security Plan! Our SiteLock Provisioning Service Module for WHMCS takes care of every feature available for Resellerclub's Security Service, seamlessly integrated with your WHMCS set up. 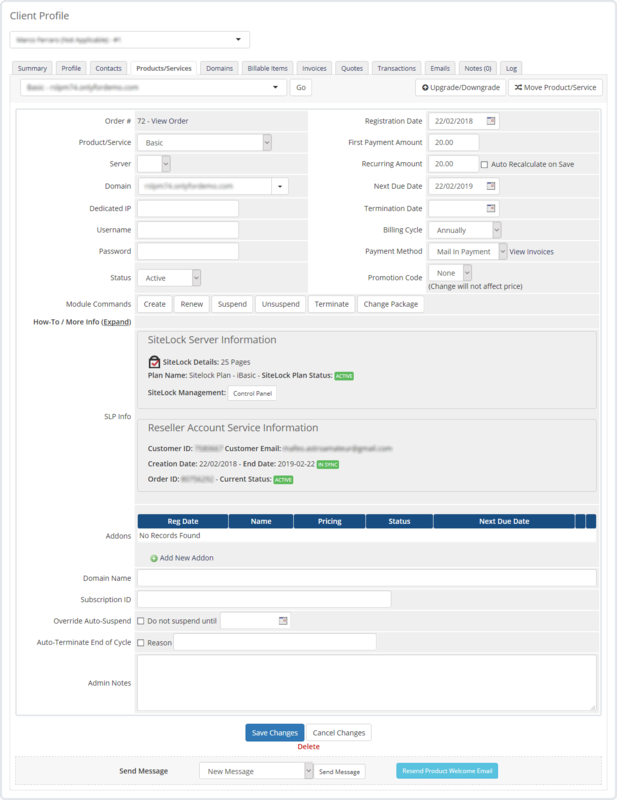 You can now sell all available ResellerClub SiteLock plans and WHMCS Administrators as well as your Customers can manage everything easily from the WHMCS Client Area. Your Customers will remain on your site and can directly login to all related control panels from your site's client area itself. 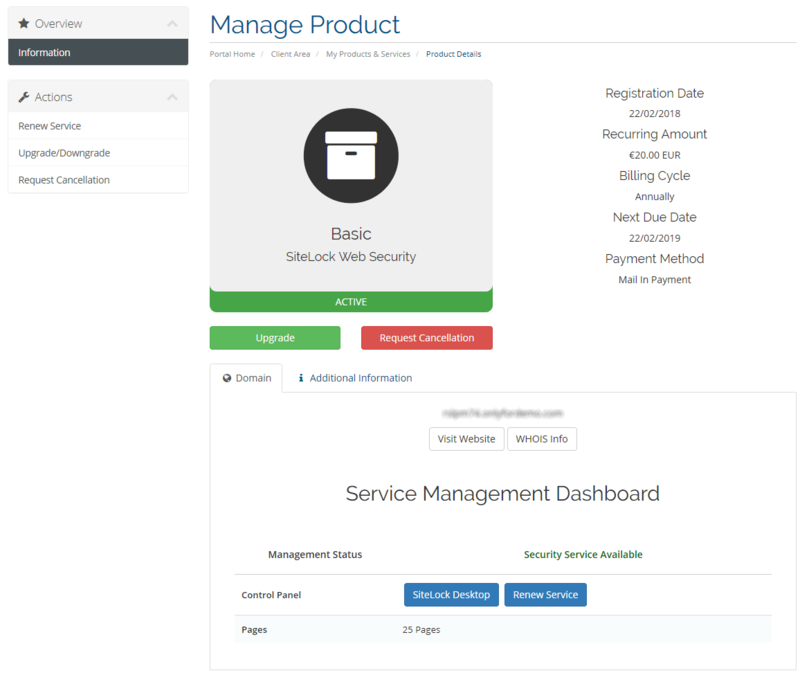 This module takes care of every billing, upgrade, provisioning and management aspect of ResellerClub's SiteLock Security Services. If you are reading this announcement, then you are navigating in our new website. We hope you like the new site and feel it easy to use and manage your services!